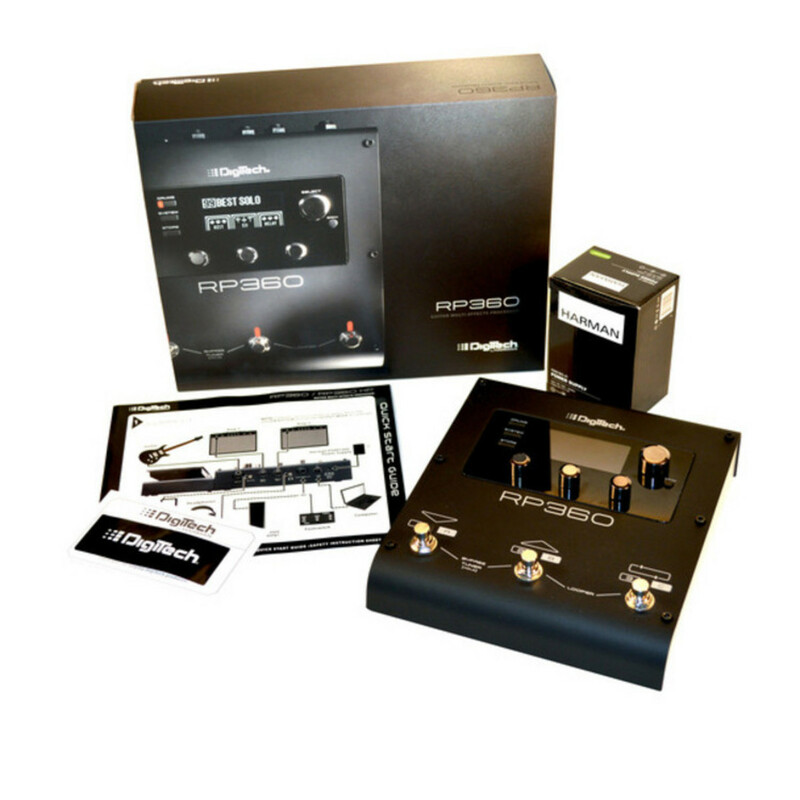 The RP360 is a complete 360 solution for your guitar effect needs. The RP360 guitar multi-effect processor has over 160 different effects (54 amps, 26 cabinets, 82 effects) inspired by world?s best-selling pedals and iconic amps. The RP360 puts a world of new and amazing guitar effects at your feet for you to explore. 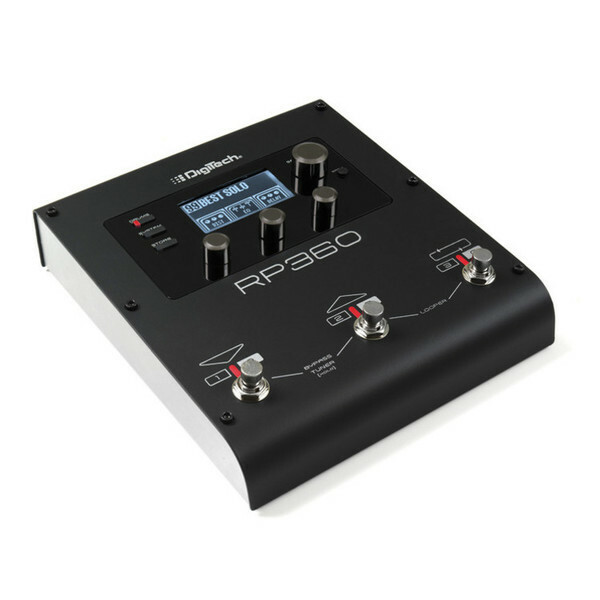 Along with the incredible selection of effects, the RP360 has a 40-second looper, nearly 200 presets, USB port, configurable footswitch modes, built-in tuner; dedicated headphone jack, Sound Check and 60 built in drum tracks. You can add up to 8 effects to each preset. The RP360 has a USB port for transferring and loading presets from your computer. With nearly 200 onboard presets and Nexus, DigiTech's free preset editor and librarian software, you can create, transfer, and share an unlimited number of tones. The USB port also allows you to record your guitar tracks directly to your computer. The RP360 works with GarageBand, Pro Tools, Cubase, Ableton, and virtually every other recording software for Mac or PC. The RP360 is versatile with 3 different footswitch modes. Incorporate the RP360 into your existing pedalboard using stompbox mode where you can assign any effect in your preset to each footswitch. If you choose to use the RP360 by itself, easily navigate through your presets in preset mode or bank mode. Extend your control of the RP360 with a 3-button footswitch or expression pedal. 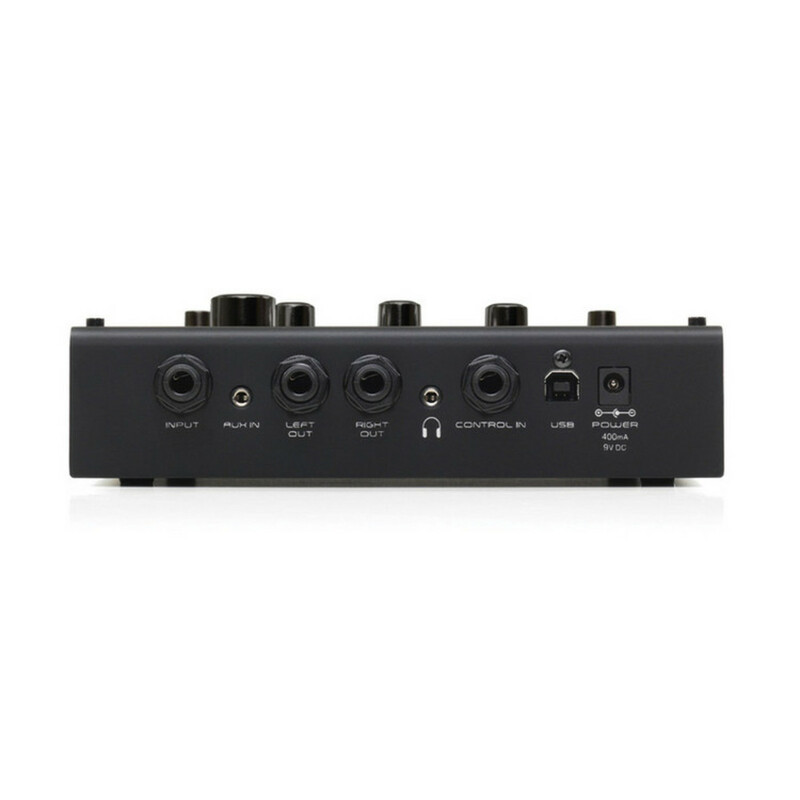 The 3-button footswitch can be set-up to extend the control of the onboard looper or navigate through your banks and presets. Using an expression pedal you'll engage real time control of an effect in your preset including the iconic Whammy pedal. 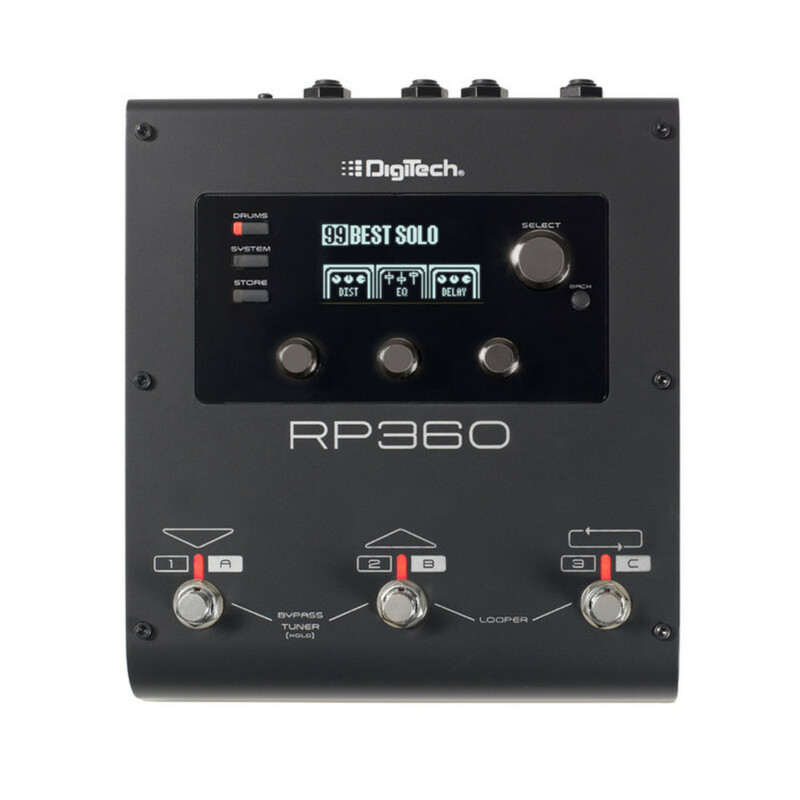 The RP360 includes a new feature exclusive to DigiTech called Sound Check. Sound Check allows you to quickly record a phrase with your guitar and set it to repeat while you dial in the perfect effects and settings. Sound Check saves you from having to continually bend over to make minor adjustments while dialling in your tone. With Sound Check you'll spend less time tweaking and more time playing with the perfect tones.